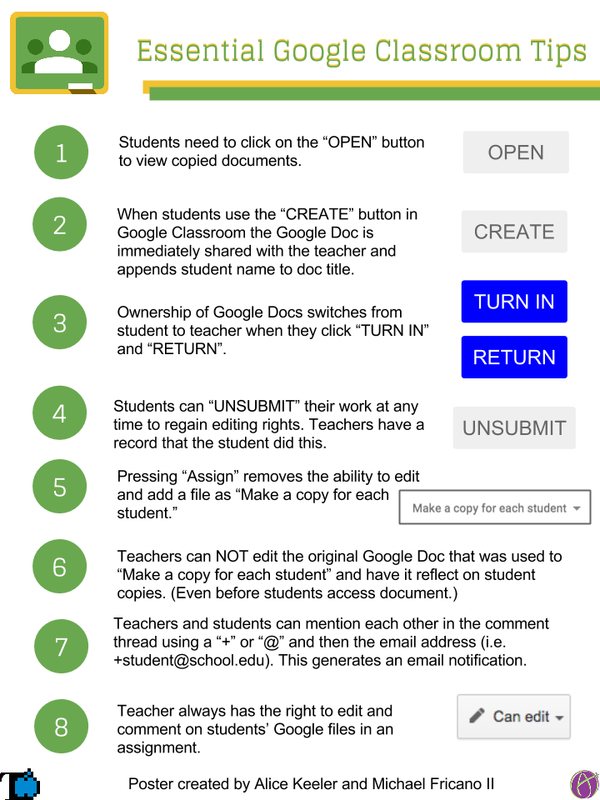 Check out these eight essential tips if you're useing Google Classroom this school year! This was created in partnership with +Alice Keeler and myself. I'm very grateful to Alice for allowing me to help create this awesome poster! Check out Alice Keeler's many great tips on her blog at www.alicekeeler.com/teachertech.